UPDATED April 25, 2019 12:31 pm . Each year, Google hosts a worldwide “code-in” contest where young coders ages 13 to 17 from around the world complete a variety of open source coding tasks. These tasks included coding, documentation, outreach or research, quality assurance, and user interface and are performed for open source organizations who have demonstrated strong mentoring skills through their own participation with the Google Summer of Code program. This year’s contest attracted more than 1300 participants from 62 countries. One of the two grand prize winners, Nji Collins Gbah, is a 17-year-old from Bamenda, Cameroon. Gbah has the distinction of being the first African to win this prestigious contest. This is an amazing accomplishment for any young developer and especially meaningful as Bamenda is but a stone’s throw away from an emerging area of the world known as Silicon Mountain. This area gets its name from the nearby Fako Mountain — and the tech startup culture clustered around Buea. 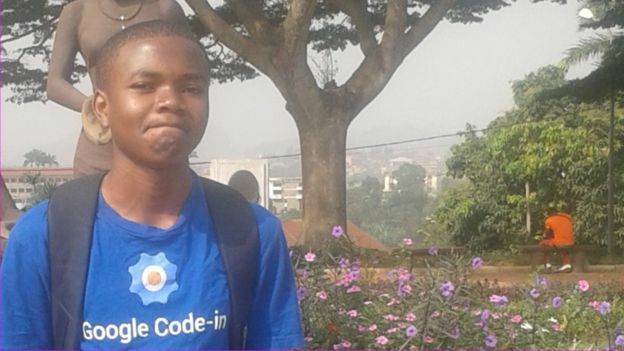 It’s easy to imagine this young developer honing his computer science skills at one of the local universities and finding meaningful work in Buea, maybe even starting up his own tech business. 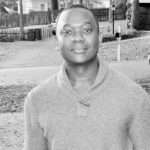 The only problem is, within days of finding out he had won the grand prize of the Google Code-in (a four day trip to Google’s headquarters in Silicon Valley), the Cameroon government switched off the Internet in the country’s two English-speaking regions in what is believed to be a crackdown on political protests. Both Bamenda and Silicon Mountain have been virtually disconnected from the rest of the world for several weeks now. The tech startup industry in Buea is reeling — as are the banks, Internet cafes, and other businesses that rely on Internet connectivity. Why is the Internet Cut Off in Parts of Cameroon? Cameroon shut down the Internet in the only two English-speaking regions of the country, the South-West and the North-West, which have been home to several anti-government protests leading up to the shutdown. The nation’s telecom provider and fiber optic backbone operator, Cameroon Telecommunications, or CAMTEL, happens to be state owned, making pulling the plug a relatively simple matter. All other ISPs and mobile networks serving the area rely on that same backbone to deliver their services, giving them no real say in the matter. What Does this Mean for the Future of Tech in Cameroon? In a time when Africa is struggling to plug the brain drain, here we are giving our brightest techpreneuers yet another reason to leave — not just leave Silicon Mountain or Cameroon itself, but leave the continent. Gbah’s interests include deep learning, artificial intelligence, and neural networks, and he is working on developing his own model for data compression. It’s hard to imagine making much progress in any of those areas without the Internet, without strong support locally. No doubt, Nji Gbah’s future is bright. He will make valuable contacts at Google and acquire a wealth of knowledge during his trip to Palo Alto. No matter which continent he establishes his professional roots in, we congratulate him for a job well done as the Google Code-in Champ!